[PRESS RELEASE] New Bridal Registry Site Makes Newlyweds’ Dream Vacation a Reality - Hits and Mrs. Doing a colleague of mine a favor. For brides- and grooms-to-be, read on. This may prove useful to you. Manila City, Philippines. – One of the grandest gifts that a couple can ever receive on their wedding day is an all-expense paid vacation. Whether for their honeymoon or for a post-honeymoon vacation, this goes on top of most couples’ wish list. Now you don’t need a fairy god-mother to make this wish come true. A new online gift registry site is now making this wish into a reality. GiftHavenRegistry.com is an online wedding gift registry site that revolutionizes the bridal registry experience by including trip packages in their list of gifts that couples can choose from. With Gift Haven Registry, you can choose from 10 featured honeymoon destinations in their Dream Vacations Category to include in your wedding gift list maintained in their site. The honeymoon destinations each includes a package that was specially arranged for couples including luxurious massages and spa treatments if you want to relax and romantic tours for those who want to explore. There is definitely one that will suit you and your partner. Once you both have chosen your dream vacation, Gift Haven Registry creates a vacation fund in your wedding gift list. You can choose to personalize your online bridal registry more by sharing with your guests why you’ve chosen a particular destination. Now comes the questionable part you say? Who in the world will give you an expensive trip for your wedding gift?! Not to worry! Having a vacation fund in your wedding gift list in gifthavenregistry.com enables your guests to contribute an amount that they want to give to you and your partner. There are gift cheques that they can purchase to add money into your vacation fund maintained in your wedding gift registry. It is also very easy to be updated on the status of your vacation fund as Gift Haven Registry provides you real-time updates on purchased items in your gift list. This includes contributed gift cheques in your vacation fund, and other items that you and your partner may have chosen from their other categories, like the dream home category and the Groom’s corner. The best thing about this online wedding gift registry is that you can do everything without even leaving your house! You can surf for more information in the internet before choosing that particular destination that you both want to go to. Your guests will also enjoy the convenience of doing their shopping for your wedding gifts online. Best of all, they can choose to give a gift with the amount that matches their budget. 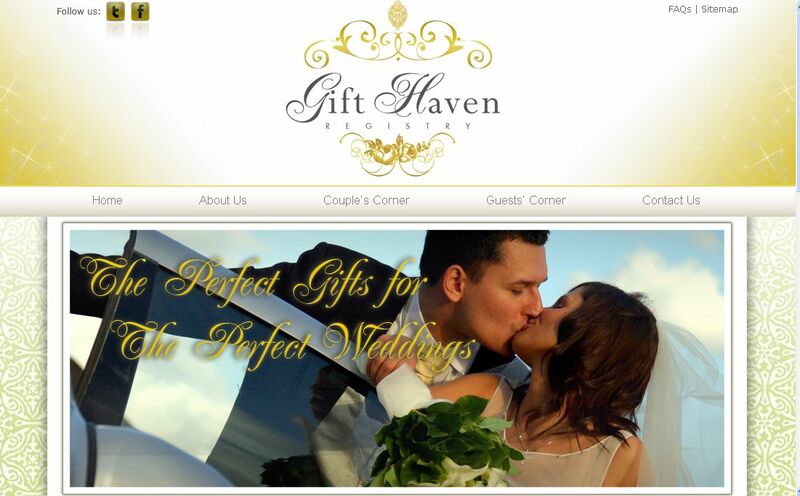 Gift Haven Registry simply provides convenience for both the couple and those who care for them. Check out www.GiftHavenRegistry.com to learn more about the Dream Vacations Category of this online bridal registry. Discover how this site can make a couple’s bridal registry experience a more enjoyable and less stressful one. For more information about gifthavenregistry.com, feel free to contact the Gift Haven Registry customer service team at 7148690 / 3877462. You can also like us on Facebook at Facebook.com/gifthavenregistry.